This is the second property for rent on this 120 acre parcel. The second house is VRBO # 189327. If rented together the discounted rate is $900 a night and guests get both houses. A truly great Missoula Lodging riverfront property, just 15 minutes from the Missoula International Airport. 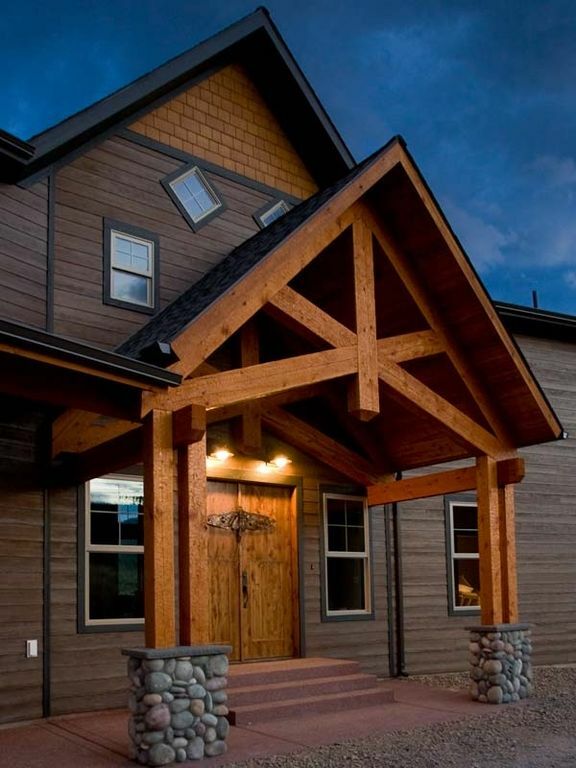 The property spans 100 acres of riverfront that includes 3000 ft of Clark Fork River frontage. It is centrally located to all the outdoor pursuits the Missoula valley has to offer. Within 15 minutes of the House: Bitterroot River, Blackfoot River, Clark Fork River, our best whitewater in the Alberton Gorge, multiple National Forest trailheads, Snowbowl Ski Area, and private bird hunting during the season for guests. If you don't want to travel at all, just wander off the expansive outdoor recreation space and kick around Private Access to the lower Clark Fork and Six mile Creek. We just finished buildin this house in Aug. of 2008. It was built with the excutive on vacation in mind. Everything in house from the custom beds to the tile and granite work is exceptional. We designed the property for entertaining larger groups of guests that prefer private sleeping quarters. An easy way to put together a nice evening is to cater into the house for an evening meal overlooking the river. We can arrange that easily by request. This is our second building on this property you can see the other on VRBO at listing #189327. For larger groups both houses can be rented together. Please contact us for details. This lodge worked very well for five families. We had plenty of room for everyone including 5 kids. The property is beautiful and we had room to park four large snowmobile trailers. Wow! Eight of us under one roof and geat beds / bedrooms for each of us! The place was stellar and handled our large group easily! Kudos and the catered dinners, they really topped of a great week of fishing. Views from the deck were amazing, especially watching the wildlife! Thanks for such a great place. We will be back! Right on the Clark Fork River! Brand new, this is just an incredible rental opportunity to those looking for a private riverfront rental opportunity just west of Missoula Montana. Beautifully and tastefully done on the inside, lots of room, beautiful view of the Clark Fork River. Very close (about two minutes away) from some awesome fly fishing for trout. It's quiet, and has beautiful furniture on the inside, and a fantastic big kitchen to cook meals in. Five stars all the way, including the people we rented from!